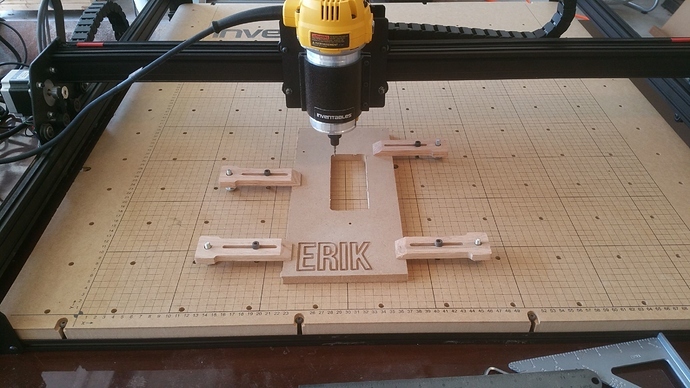 I live in the Augusta, GA area and I would like to meet someone with a X-Carve who might be able to show theirs off so that I could get a better feeling for how it works. I've watched a few videos and I am concerned about it flexing to much. I live in Augusta, my X-Carve is heavily modified. Here is my thread with a ton of pictures and projects and the modifications I have done. If you want to see it, let me know and we can set something up. I live in Evans and just received my shipping notice !!! Just over 4 weeks from order date, so I will be assembling mine next week if all goes well. Would be glad to show you after it arrives. Please email me at llewis1961@aol.com. I talk with Mr. Jenkins today and he also lives in the area.